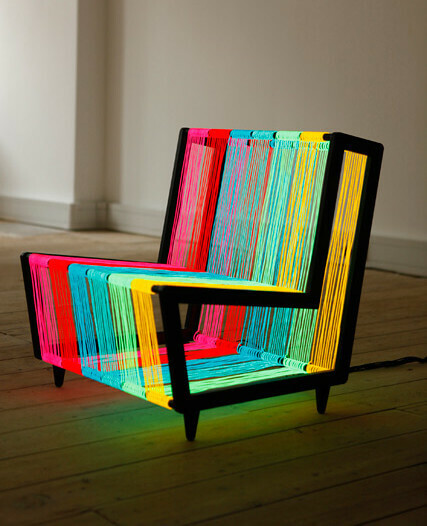 Design studio Kiwi & Pom created a chair that literally lights up a room just by being there. The Disco Chair joins two of our favorite elements: lighting and furniture. 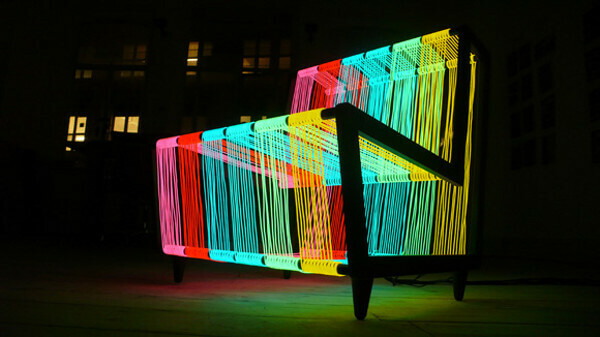 This lounge chair is strung with electroluminescent wire that lights up when powered. The chair is built from a steel frame strung with 200 metres of wire. We are not sure how comfortable it is but at least it is pretty cool to look at. 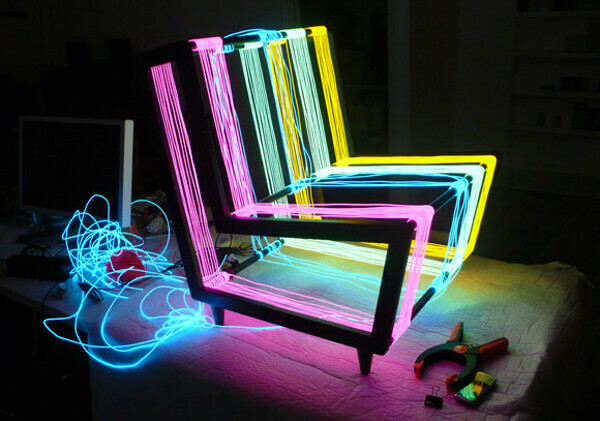 When powered, the wires transforms in threads of neon, creating a rainbow effect of color. You can switch it to flash mode, creating a disco-style lighting, thus the name of this piece of art. The Disco Chair can give a 1970s and 1980s style to any room, resembling the atmosphere of a disco club from back in the day. Kiwi & Pom studio was born in 2008 by Emma and Kam Young with the goal of creating products for the home and inspiring commercial interiors. Since then, they have created beautiful pieces that inspire people to take risks and create emotions in others through furniture.